SUPER EASY (NZ) (Bay 2008-Stud 2013). Horse of the Year in Singapore in 2012. Champion 3YO in Singapore in 2012. 15 wins-1 at 2-from 1000m to 1600m, NZ$63,025, S$2,113,547, Singapore Guineas, Sgp-1, Singapore TC Lion City Cup, Sgp-1, 3d Singapore TC Krisflyer International Sprint, Gr.1. Half-brother to SW Tiger Tees (ATC Galaxy H., Gr.1), SW Terravista, SW Ball of Muscle and SW Our Lukas. Sire of SW Prom Queen (CJC Welcome S., L), etc. His oldest progeny are 2YOs. SHANPANICHI, by Fusaichi Pegasus. 3 wins to 1200m, SAJC Sivcorp Solar H., 2d SAJC Irish Day H., 3d SAJC Cleanevent H., Goodwood Day H. Sister to Ladysea, three-quarter-sister to Danpegi (dam of ROSE OF CHOICE), half-sister to RISING EMPIRE. Dam of two named foals, one to race. RISING EMPIRE (Dehere). Champion 2YO in Singapore in 2012. 6 wins to 1400m, 74,675Rgt., S$335,682, Singapore TC Magic Millions Juvenile Championship, Sgp-3, Magic Millions National Yearling 2YO S., Progressive S., Kranji D S., Recast S., Care & Share P., 2d Penang TC Malaysia 3YO Championship Heat 2, Singapore TC Magic Millions Adelaide Yearling S., Class 4 H.-twice, 3d Singapore TC Kranji D S., Kranji C S., Class 4 H.
Ladysea (Fusaichi Pegasus). 3 wins from 1300m to 1650m, WATC Perth Ice Works H., Facebook.com Perthracing H., 2d WATC Westspeed 3YO H., 3d Western Australia Oaks, Gr.3, WATC Golden Square H., 4th WATC Belmont Classic, L.
Shanpanichi. 3 wins. See above. Lauradane (General Nediym). 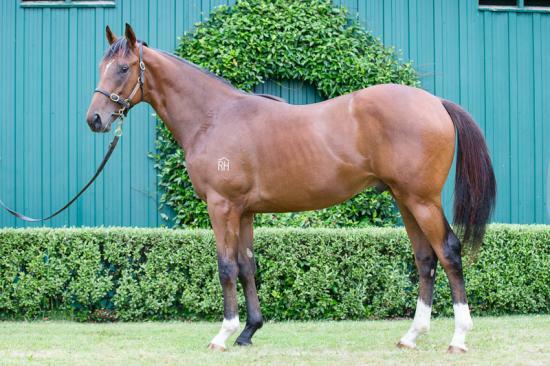 2 wins-1 at 2-at 1200m, 1400m, A$205,600, WATC Westspeed Nursery H., Westspeed 3YO H., 2d Western Australian Guineas, Gr.2, WATC Ascot One Thousand Guineas, L, Belgravia S., L, 3d WATC Burgess Queen S., L, Westspeed Nursery H., 4th WATC Champion Fillies S., Gr.3. ROSE OF CHOICE (Choisir). 7 wins to 1400m, A$300,068, WATC Jungle Dawn Classic, L, Workit Workwear H., Kellys Kay's 60th Birthday H., Perthracing.com.au H., 2d VRC Hong Kong Jockey Club S., Gr.3, WATC Jungle Mist Classic, L, La Trice Classic, L, 3d ATC Nivison S., Gr.3, WATC PR Membership Now Available H., Tabtouch.mobi H., 4th BRC Dane Ripper S., Gr.2, MRC Summoned S., Gr.3. Prince Jazeem. 5 wins to 1400m, R385,575, Turffontein WPT Emperors Palace Poker Classic Day H., Emperors Palace International H., Racing Association H., Vaal Soccer 6 P., 2d Vaal Rugby 5 H., Itsarush.co.za H., Racing. It's a Rush H., 3d Vaal Soccer 6 H.
See More Roses. 3 wins at 1000m, 1600m, WATC Commonwealth H. Producer. HURRICANE WARNING (Hurricane Sky). 8 wins from 1200m to 1700m, 770,807Rgt., S$18,225 in Malaysia, Penang TC Dr Lim Ah Soo Memorial Trophy, L, 3d Perak TC Coronation Cup, L.